Mr. CraftyPaws’ grandmother had a gorgeous collection of vintage feathers that were from her days working in the French-American fashion house of Lilly Daché that specialized in millinery designs. After celebrating her 101st birthday last December, she passed away, and my hubby’s uncle kindly sent this collection to me. I have been thinking long and hard about how to honor my hubby’s grandmother and highlight these beautiful feathers in a lasting and impactful way. 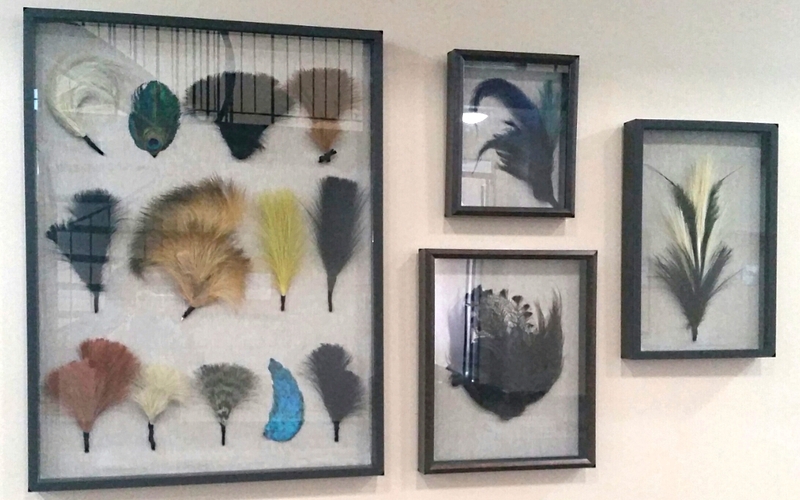 I finally decided I could achieve this by curating the mass of feathers and displaying them in shadow boxes. I gathered 4 shadow boxes (2 from my stash that I could re-purpose and 2 from Michaels when they had a 60% off sale) and lined the backs of all of them with some remnant linen fabric that I upcycled from old Ikea curtains. Then it was a matter of trying different combinations of feathers. I wanted to play with colors, textures, and general grouping shapes. I hot glued some into shaped clusters, and grouping others into rows after carefully wrapping the bases with black wired ribbon. I “cheated” a little and dyed one dingy clump of white feathers into a teal/aqua color with Tattered Angel and DecoArt shimmer mist, and I added one peacock feather assembly I bought from Michaels just to brighten up the collection and add some pops of blue (my favorite color). 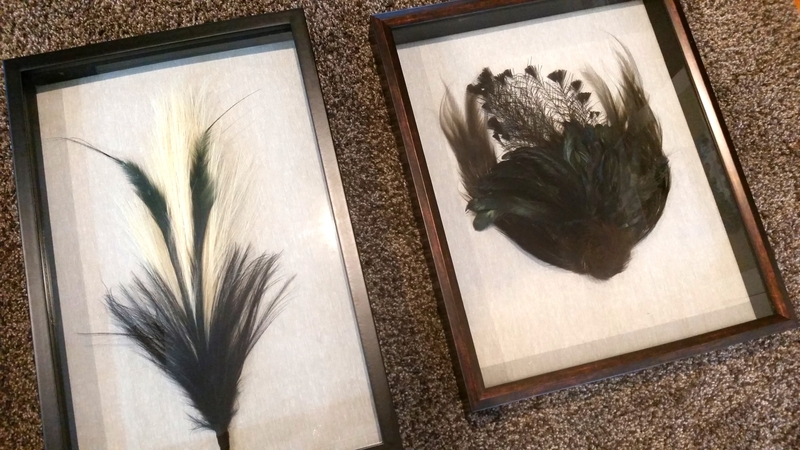 In the end, I wanted to create home decor art that would communicate the importance of these vintage feathers to our family history while still fitting in with our contemporary aesthetic. 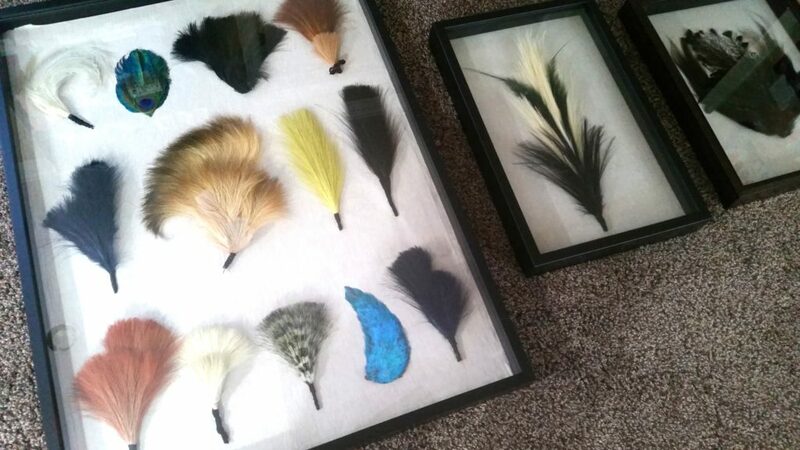 I think by combining, lining up, and grouping the feathers in these shadow boxes, I was able to do just that. Family heirlooms in a modern display! Thanks so much Vicki! I’m so happy it turned out well and that my hubby’s family likes it! Beautiful Feathers … Thanxx For Sharing With Us At Lil Patch Of Crafty Friends. I love the feathers and the idea to put them in frame. Thanks for sharing in Card mania challenge. Interesting and beautiful project. Thanks for joining us at Card Mania Challenges. Good luck and hope you’ll join us again. Thank you very much! It was such a joy to see all these vintage feathers out of their box and displayed where we can all enjoy their special beauty and history. Thanks for playing at Card Mania Challenge. Sorry for the late comment. 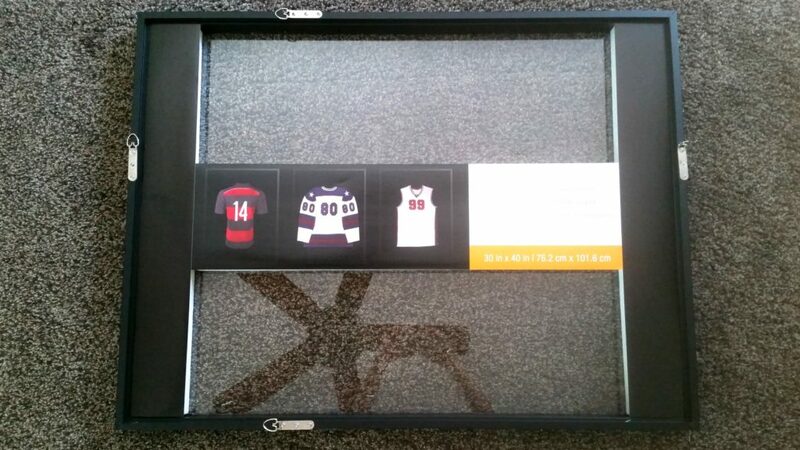 What a great way to honor her legacy and create unique pieces for your home! Wow, what a great collection! Thank you for joining our last month’s Challenge at 613 Avenue Create. There’s still time to join our Challenge this month and we’d love to see you back. Have a blessed week. Thank you soo much for taking part in our “anything goes with optional all that glitters” challenge over at Creatalicious & good luck in the draw. Yes, please add me to the CraftyPaws Weekly Digest. 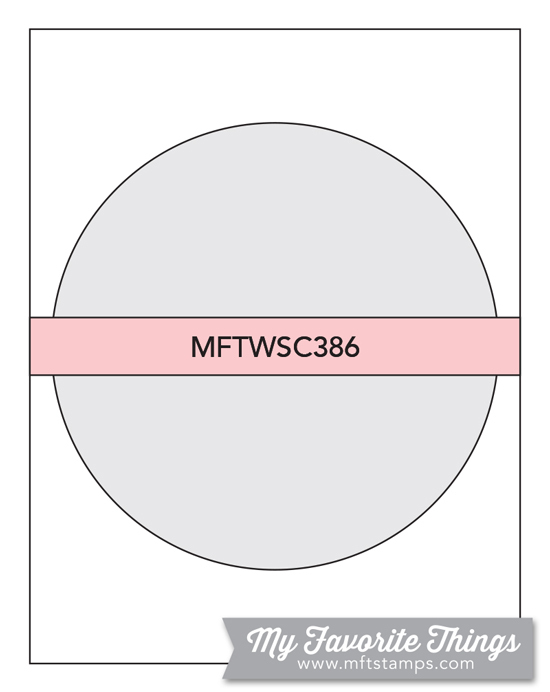 I sometimes design for craft companies when I love their products. I do not get paid for product reviews, and I never recommend a product that I do not use and enjoy. I also participate in the Amazon Affiliate Program, which is designed to provide a means for sites to earn advertising fees by linking to products on Amazon. Any commission I receive (at no cost to you) helps run this blog, and I truly appreciate your support! "thankskristina" for 10% off and free worldwide shipping on orders of $35 or more! Enabler Alert!!! Crafty Clearance Haul!